Bilyamin Muhammed Bello and wife. 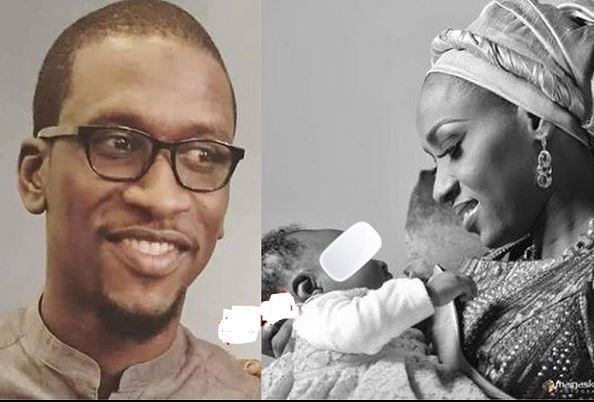 Bilyamin Muhammed Bello, son of a former PDP chairman, Haliru Bello, has been allegedly stabbed to the death by his wife, Maryam Sanda. Former PDP chairman, Haliru Bello is bereaved. An alleged act of infidelity has caused his son, Bilyamin Muhammed Bello his life, who was on Saturday night allegedly stabbed to death by his wife. Maryam is the daughter of embattled former Aso Savings boss, Hajia Maimuna Aliyu. It was gathered that the attack happened following an allegation of infidelity against Muhammed. Maryam reportedly saw a text message on the deceased’s phone which infuriated her. She allegedly stabbed her husband 3 times in the back and severally on his private part at their home in Maitama, Abuja. Prior to this, Maimuna had inflicted injury on her hubby. DSP Anjuguri Manzah, Police Public Relations Officer, FCT confirmed the incident.